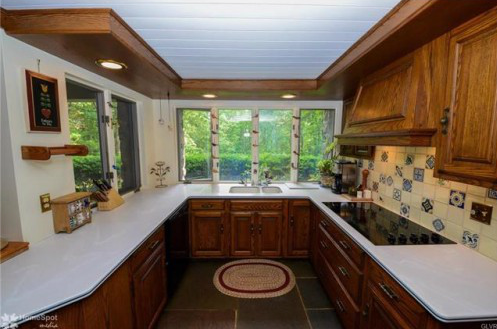 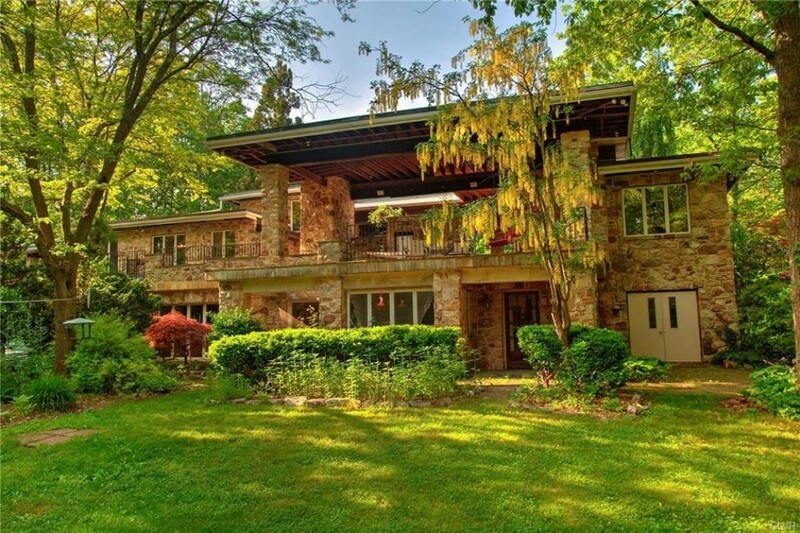 If your architectural fantasy is to own a Frank Lloyd Wright house, but your budget doesn't quite allow for it, you may want to consider this $695,000 Wright-inspired house in New Ringgold, Pennsylvania (nestled in the mountains of Schuylkill County). 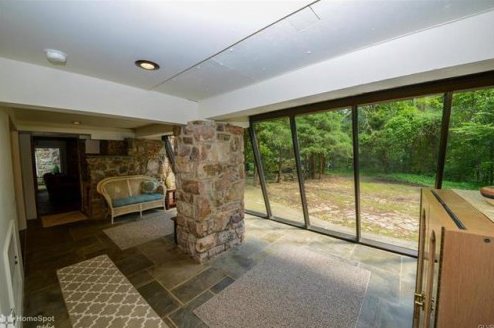 Set on 15 acres, the five-bedroom, three-bath house, which is being represented by the Frederick Group, also happens to be surrounded by 200 acres of pristine woodland. 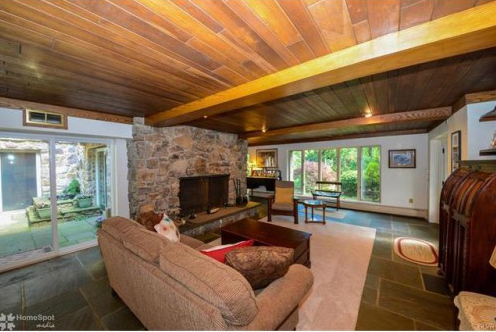 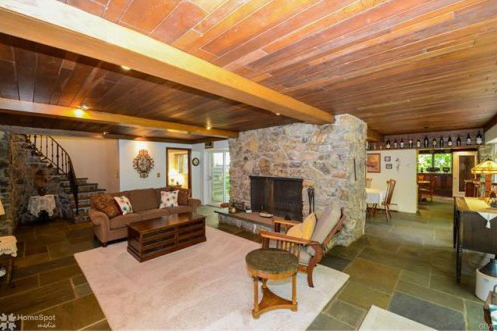 It was built with local stone (the first floor has a floor-to-ceiling stone fireplace), and has slate and hardwood floors. 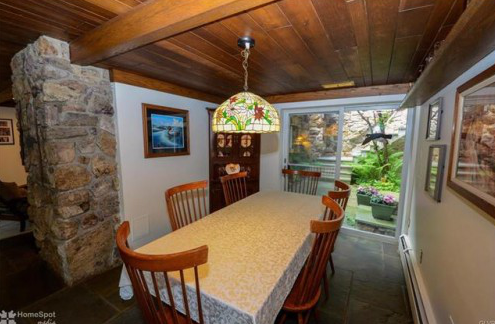 There's a dining room, sunroom, and large eat-in kitchen, as well as a wet bar and four bedrooms on the first floor. 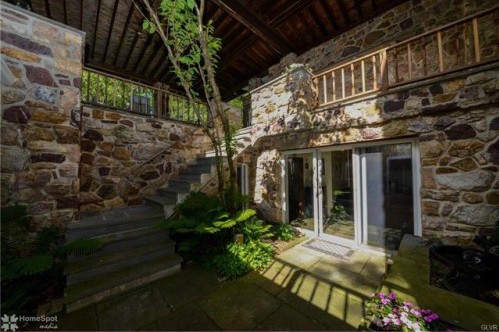 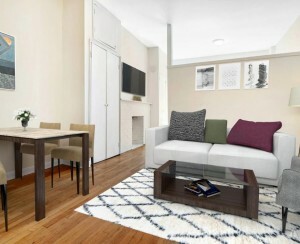 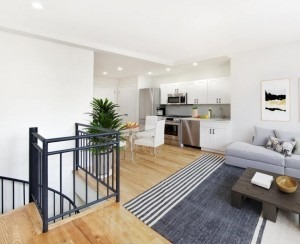 The master bedroom is located on the second floor, surrounding a first floor central courtyard. 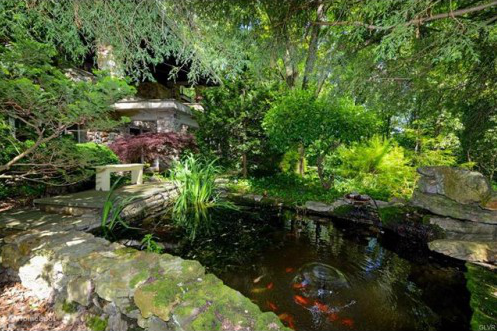 The outside is as spectacular as the interiors or, actually, even more so, with a small koi pond and waterfall.